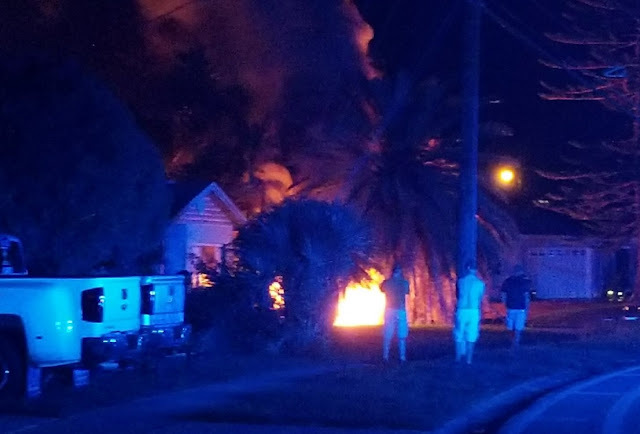 MERRITT ISLAND, Florida - A Brevard County man died after a car that he was driving impacted a utility pole, split in half, burst into flames, and knocked out power for over 200 people on Newfound Harbor Drive in Merritt Island, Florida. According to the Florida Highway Patrol, 36-year-old Richard Seborowski of Merritt Island, Florida was driving a 2017 Chevy northbound on Newfound Harbour Drive at a high rate of speed just before midnight on Tuesday. 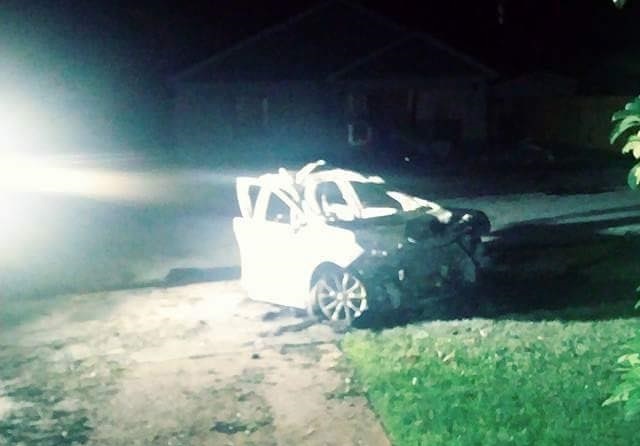 When the Chevy approached the intersection of Keokuk Street, Seborowski drove right of the center and onto the unpaved east shoulder, striking a power pole with the front of vehicle. Power lines and a transformer fell as a result of the force of the impact. The Chevy then rotated clockwise, striking a tree with the vehicle's left side, and split into two halves. The Chevy's rear half struck a stop sign and came to final rest in the yard of 480 Newfound Harbour Drive. The front half came to final rest facing south on the eastbound travel lane of Keokuk Street. A nearby residence then caught on fire which was later extinguished by Brevard County Fire Rescue crews. Seborowski was ejected during the crash and was later airlifted by medical helicopter to a trauma center at Holmes Regional Medical Center in Melbourne, Florida where he later died. FPL says that power will be restored to residences affected by the crash later this morning.